These speakers must ship by Motor Freight, please call for a shipping quote. This Atlas stadium horn speaker is a incredible product for those that demand the best. 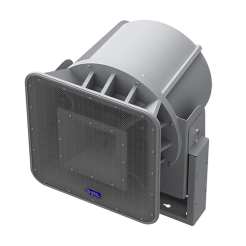 In the most demanding outdoor sound project, where the need is for high sound pressure with a quality pure reproduction of sound, this is the speaker of choice. Atlas Sound Corporation has designed and constructed this product with performance first and complete weather resistance second to none in the industry. 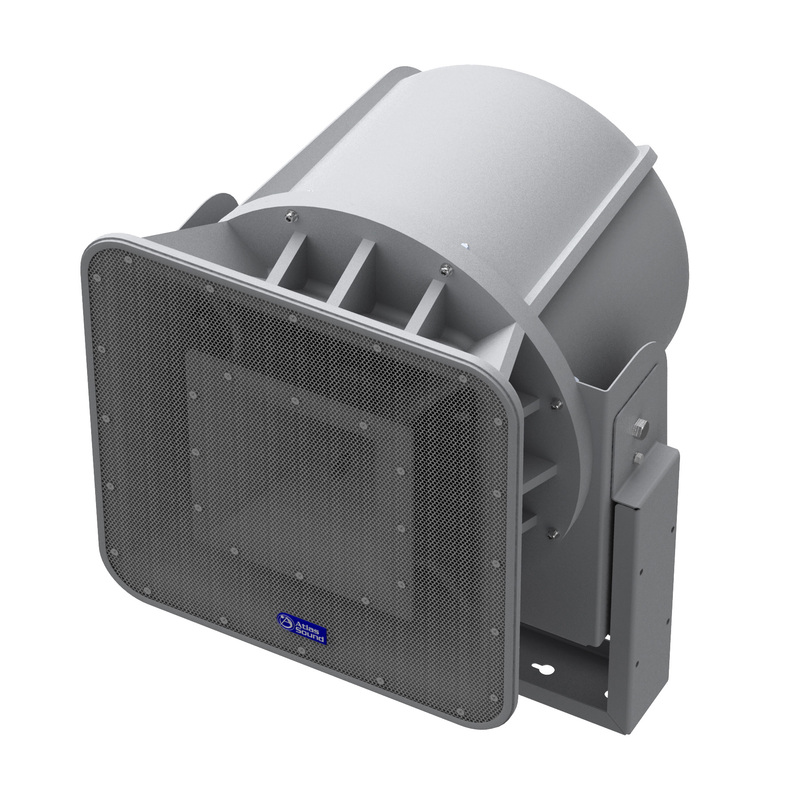 Weather resistant construction features of the AH66-12T-BSG include a multiple screen configuration to prevent moisture from damaging internal components, a perforated aluminum screen covers the large horn mouth, a secondary screen is in place forward of the high frequency driver and a third tightly perforated screen protects the 12" cast frame woofer. A "weep" hole is also included on the back of the large horn "bell" to allow evaporation of any condensation that might build up internally.